Anil Kapoor, Aishwarya Rai Bachchan and Rajkummar Rao's new film Fanney Khan had a "poor start" (as reported by trade analyst Taran Adarsh) but managed to surpass Rs 4 crores at the box office in two days, reports Box Office India. 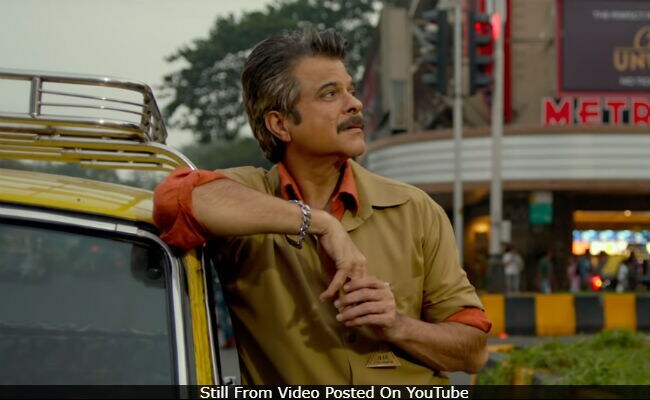 However, according to the report, Fanney Khan's ticket sales have been surpassed by that of Karwaan - the new road-trip movie, starring Irrfan Khan, Dulquer Salmaan and Mithila Palkar. Karwaan made Rs 4.25 crores in two days, said the Box Office India report while the third major Bollywood release of last week - Mulk summed up a score of Rs 3.8 crores in two days. Fanney Khan is said to be at Rs 4.25 crores and counting. For Karwaan, Saturday's collection was also the double of its opening day figures, said Box Office India: "Karwaan comes out ahead in the three way clash between the new releases as it has shown the most growth of all the three releases on Saturday as collections have almost doubled up from the first day." Karwaan marked the Bollywood debuts of south star Dulquer and Mithila. In his review for NDTV, Saibal Chatterjee wrote: "The film has a wonderful cast, lush visuals and an easy, unhurried, non-formulaic flow." Meanwhile, Anil Kapoor's performance in Fanney Khan has floored audiences and critics alike. "Fanney Khan pivots around the infectious energy that Anil Kapoor brings to bear upon the character of the failed musician Prashant Sharma," Saibal Chatterjee wrote in his review. Mulk, starring Rishi Kapoor, Taapsee Pannu and Prateik Babbar is a courtroom drama, which has received much critical appreciation for being a bold move by Bollywood. Mulk is the story of a Muslim family who are branded as terrorists and put on trial after their son was accused of being part of a terrorist outfit and how a committed advocate leaves no stone unturned to prove the family's innocence.